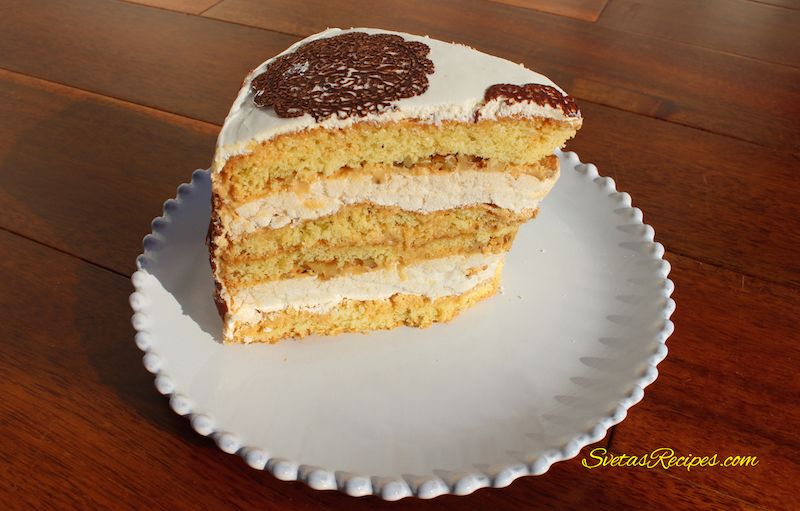 Homemade cake is a rich dessert, it includes whipped cream, nuts and more tasteful ingredients to make it astonishing. Ingredients: 1.) Beat sugar, eggs and yolks until smooth. 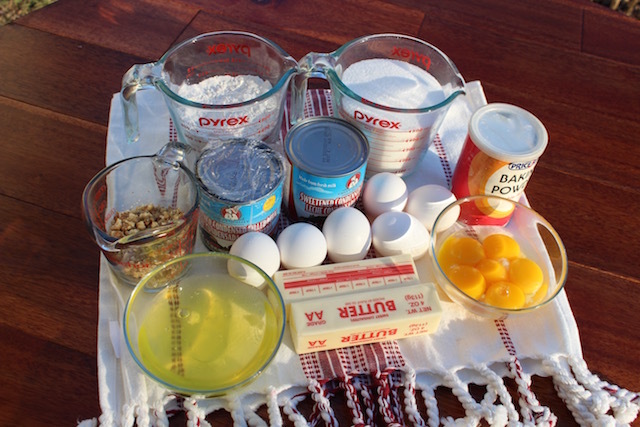 2..) Add flower and baking powder, mix together well. 3.) Pour into 2 greased 9 inch layer cake pans, smooth out the top with a rubber spatula. 4.) In and oven, bake at 350F for 25 minutes or until tooth pick comes out clean. 6.) Remove from the pan and cool completely on the rack. 7.) 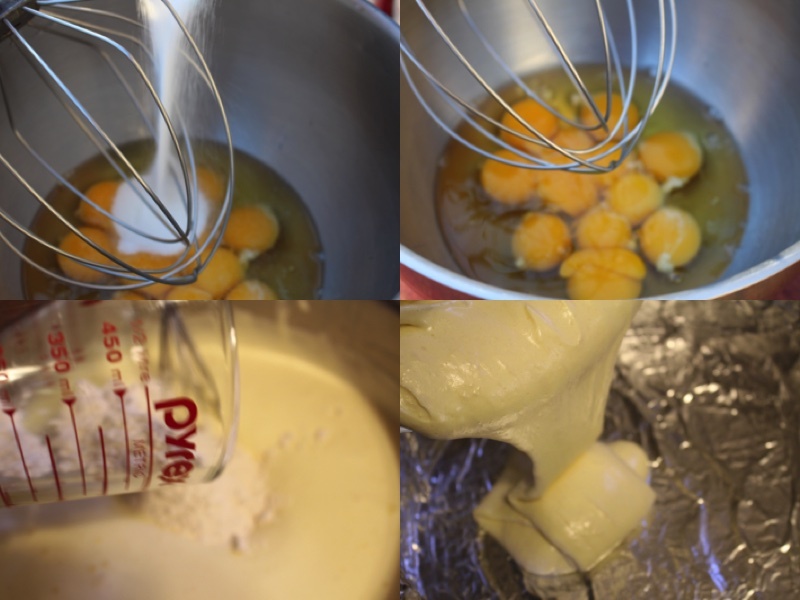 In a mixer turned on to high speed beat egg whites until soft peaks form. 8.) Sprinkle in the 1 cup of sugar, beat until sugar is dissolved. 9.) Pour mixture into 2 greased cake pans. 10.) Put in oven and bake for 30 min at 250F, then at 200F for 4 hours. 11.) Mix the 2 sticks of butter, condensed milk and Dulce De – Leche. 12.) 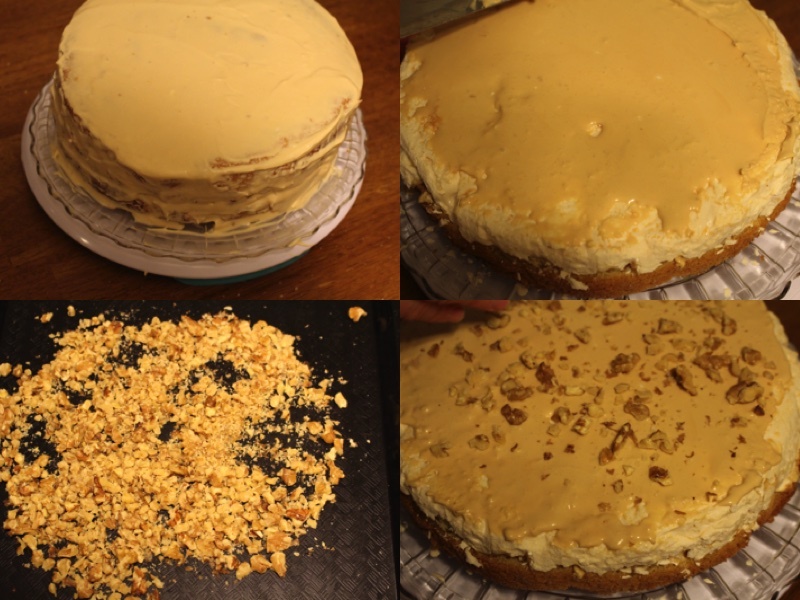 Cut the cake into 4 layers going horizontally. Meanwhile in the middle spread cream with a metal spatula (do this to all layers). 13.) Spread the meringue on each of the layers, add the nuts at the same time. 14.) Cover the whole cake with meringue. 15.) 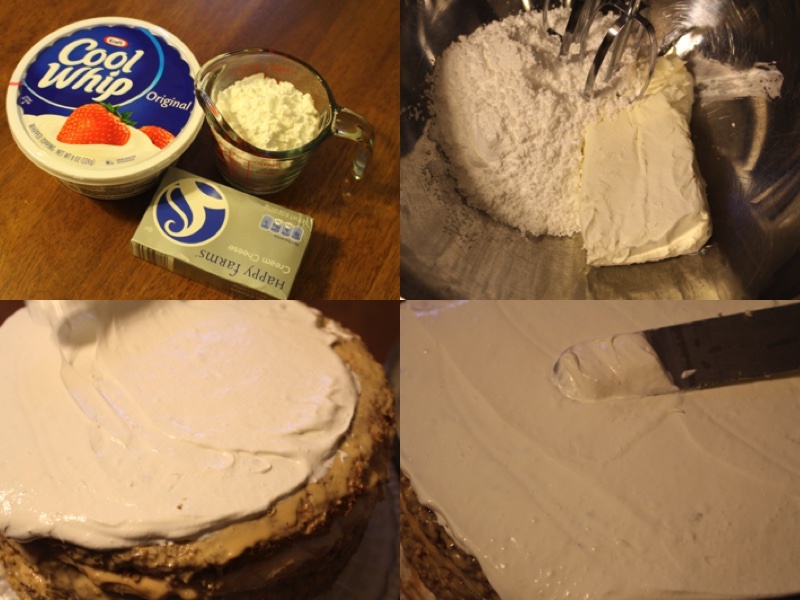 Mix together cool whip, powdered sugar and cream cheese into a frosting. 16.) Spread the frosting with a spatula on all sides make sure its even and level. Beat sugar, eggs and yolks until smooth. Add flower and baking powder, mix together well. 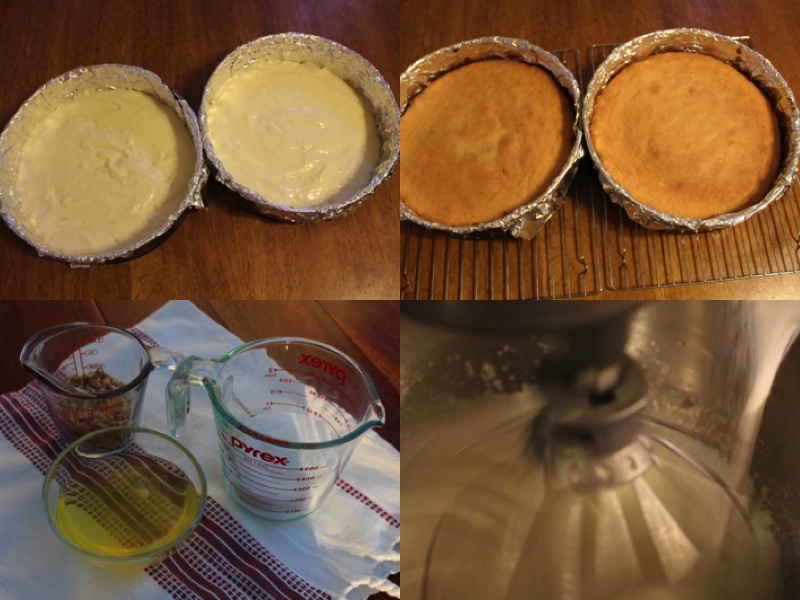 Pour into 2 greased 9 inch layer cake pans, smooth out the top with a rubber spatula. In and oven, bake at 350F for 25 minutes or until tooth pick comes out clean. In a mixer turned on to high speed beat egg whites until soft peaks form. Sprinkle in the 1 cup of sugar, beat until sugar is dissolved. Pour mixture into 2 greased cake pans. Put in oven and bake for 30 min at 250F, then at 200F for 4 hours. Mix the 2 sticks of butter, condensed milk and Dulce De - Leche. 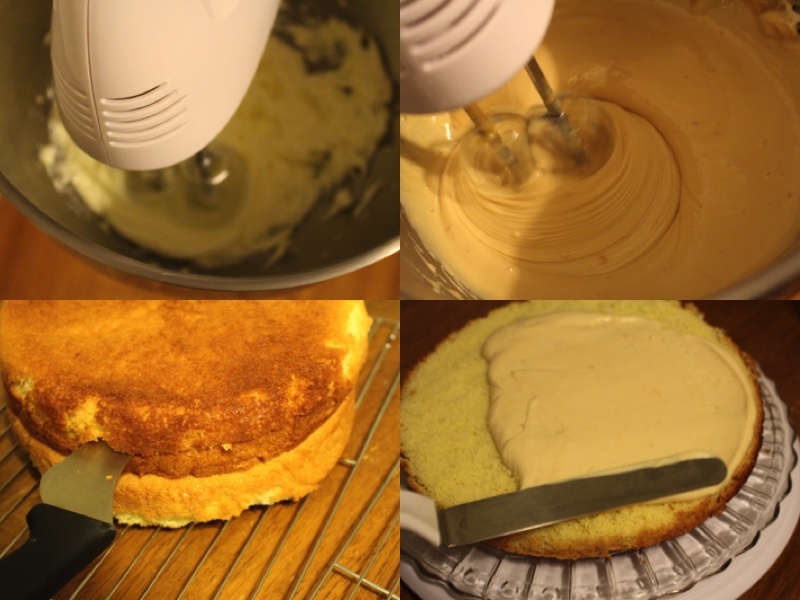 Cut the cake into 4 layers going horizontally. 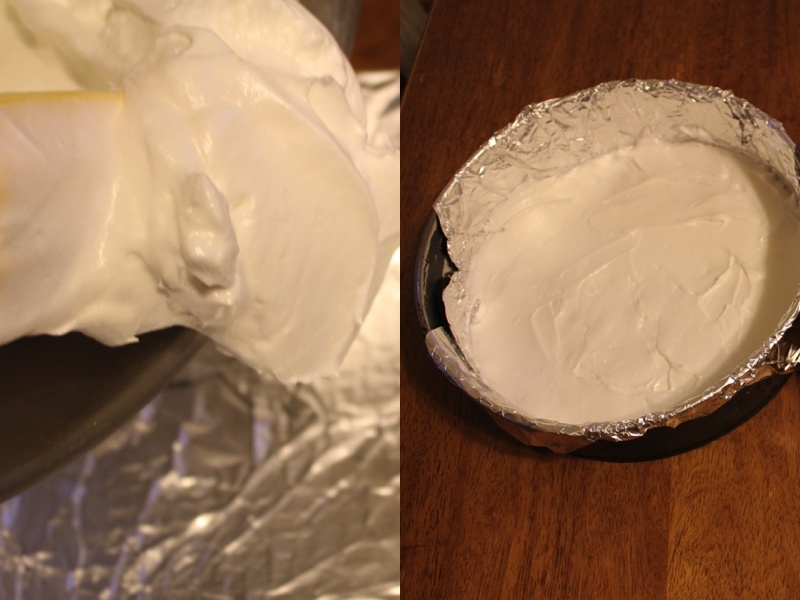 Meanwhile in the middle spread cream with a metal spatula (do this to all layers). Spread the meringue on each of the layers, add the nuts at the same time. Cover the whole cake with meringue. Mix together cool whip, powdered sugar and cream cheese into a frosting. Spread the frosting with a spatula on all sides make sure its even and level. 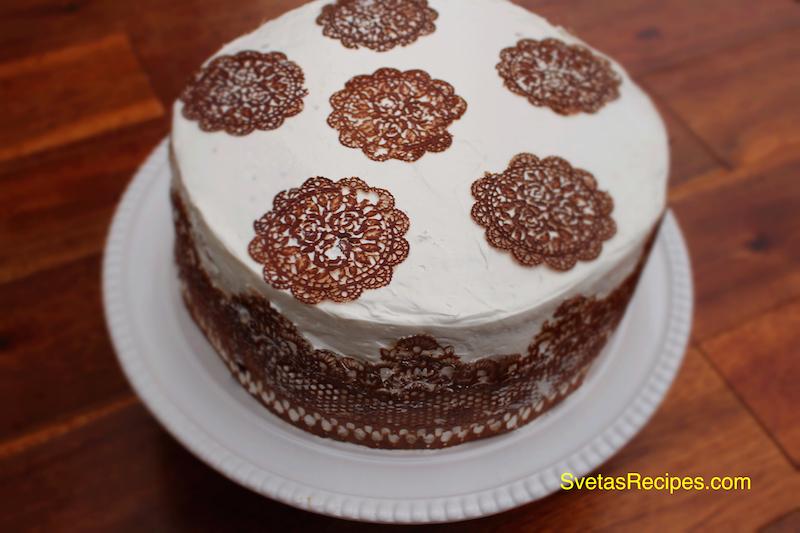 How did you decorate with those chocolate doilies? For the decoration I used a Lace Mat that I bought on amazon.